In addition to a rich history including Georgia O’Keefe and the Archelto brothers, Ghost House courtyard has been a special place of gathering and building community. 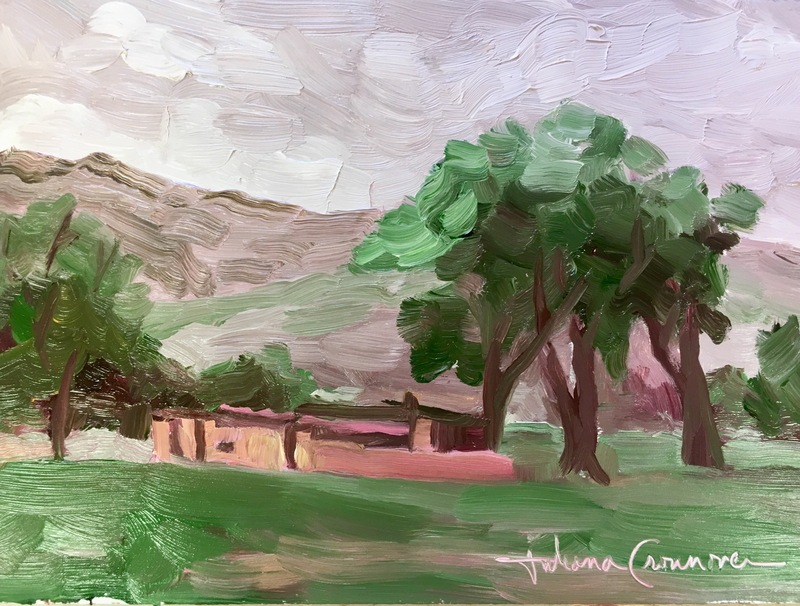 I love to paint in the shade of those cottonwood trees. I love your painting and Ghost House is especially dear to me. The community gathering in the courtyard is one of my favorite aspects of Ghost Ranch.